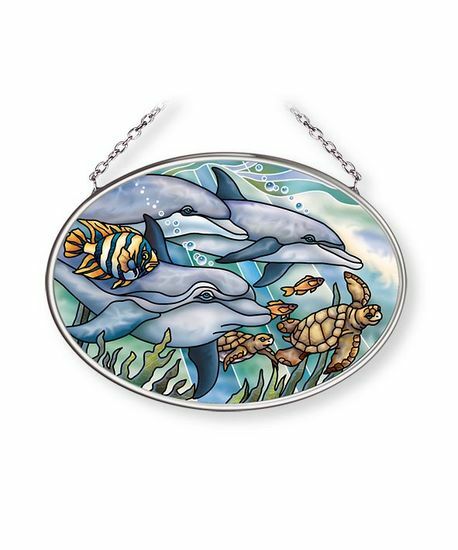 Dolphins and Sea Turtles play together in the current. This beautiful stained glass dolphin and sea turtle suncatcher will brighten any window or room. Amia stained glass suncatchers include hand painted ripple glass with removable chain.